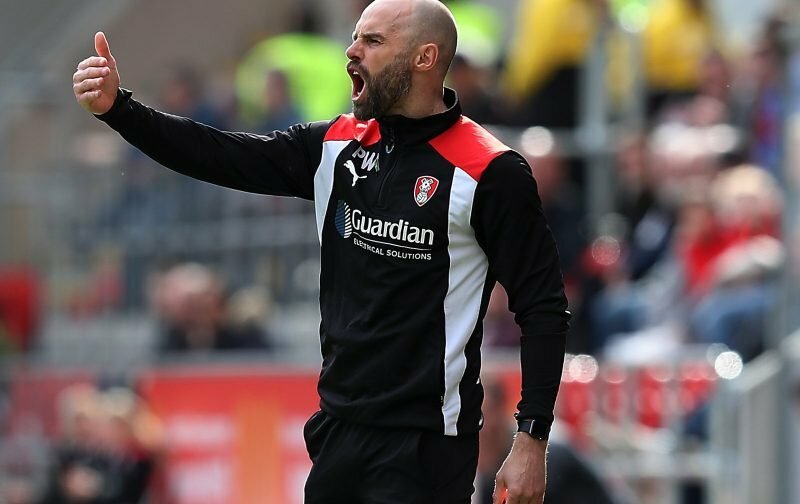 Rotherham United will be travelling to their hotel in Wembley later today with their Manager Paul Warne‘s words ringing in their ears. ‘You’ve got to play brave,’ the Millers Boss has told his troops. Speaking to iFOLLOW Warney said, ‘Shrewsbury have the advantage with having played at Wembley recently but you could counter-argument that by saying they’ve had the disadvantage of losing down their recently. ‘This is my third time of going to Wembley with Rotherham which doesn’t happen a lot. It will be a great day and the lads are thoroughly looking forward to it. They have loads of family and friends coming and it does mean a lot. To be honest I wouldn’t think the team will need much motivation for the game. Lots of family and friends, over fourteen thousand encouraging Rotherham fans and it’s Wembley for goodness sakes! Will the players be nervous? Well I think they will when they are coming out and even maybe for the first ten or fifteen minutes of the game but hopefully they will forget the cameras, forget what the game means and just play like we Millers fans know they can. I’ve seen that Shrews Manager Paul Hurst has said told their fans not to expect too much from either team, saying to the Shropshire Star that he expects nerves to play a part thinking that players might just ‘play it safe’. Not a great way, I would think, to get fans to actually buy tickets and go to the game? Well, as I said, maybe for a quarter of an hour there will be nerves but I think, at least, the Millers will be trying to put on a show for the fans. Whether we are Merry or Miserable when the final whistle goes we shall just have to wait and see.